The creators and stars of Disney’s Star vs. the Forces of Evil and the new series Big City Greens bring you never-before-seen clips, answer your questions, and even perform a live table read. Panelists include Daron Nefcy (executive producer), Eden Sher (The Middle, Veronica Mars), Adam McArthur (Star vs. the Forces of Evil, Adventures of Puss in Boots), Esmé Bianco (Game of Thrones, The Magicians, Star vs. the Forces of Evil), Shane Houghton (executive producer), Chris Houghton (executive producer), and Marieve Herington (How I Met Your Mother, Good Luck Charlie). 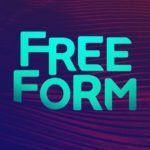 Fresh off the heels of their first season, the cast and executive producers of Freeform’s hit mermaid drama Siren make their San Diego Comic-Con debut, recapping season 1 and revealing what fans can expect from season 2. In this epic tale, the coastal town of Bristol Cove is turned upside down when a mysterious girl (Eline Powell) appears and begins wreaking havoc on the small fishing town. Using their resources, marine biologists Ben (Alex Roe) and Maddie (Fola Evans-Akingbola) must work together to find out who and what drove this primal hunter of the deep sea to land. Panelists include executive producers Eric Wald and Emily Whitesell, with series stars Eline Powell, Alex Roe, Fola Evans-Akingbola, Ian Verdun, and Rena Owen. Moderated by TLC’s Chilli. 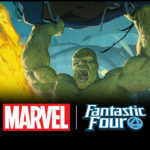 Editor-in-chief C. B. Cebulski and talent scout Rickey Purdin join a multitude of Mighty Marvel panelists to take you behind the scenes and show you how a Marvel comic book is made. Learn about every aspect of production, including writing, penciling, inking, coloring, lettering, editing, and more, with creators on hand to offer personal insights and anecdotes. Get an inside look at the latest and greatest from Marvel Games. Attendees will see exciting sneak peeks of Marvel’s Spider-Man, Marvel Powers United VR, and Marvel Battle Lines, with many unannounced surprises and panel exclusives. Host Greg Miller(loudmouth at KindaFunny.com) will be joined by Mike Jones (vice president & executive producer, Marvel Games), Bill Rosemann(executive creative director, Marvel Games), Bryan Intihar (creative director, Insomniac Games, Marvel’s Spider-Man), and others. Marvel Rising brings together the next generation of Marvel superheroes for the next generation of Marvel fans. Be among the first to get a sneak peek at this group of powered teens and their adventures that are full of heart, action, comedy, and powerful messages for every kind of Marvel fan. The show’s Quake Chloe Bennet (Marvel’s Agents of S.H.I.E.L.D. ), Squirrel Girl Milana Vayntrub (This Is Us, Silicon Valley), Ms. Marvel Kathreen Khavari(Big Little Lies, Marvel’s Avengers Assemble), Patriot Kamil McFadden (K.C. Undercover, Grown Ups 2), Cort Lane (SVP, Animation and Family Entertainment), Marsha Griffin (VP, Animation Current Series and Development), and Sana Amanat (VP, Content and Character Development) present an action-packed panel that showcases the first look of the animated shorts, special announcements, and so much more. Moderated by Lorraine Cink. The Marvel Studios Visual Development team comes to San Diego to share never-before-seen concept art and their favorite designs from the past 10 years. Why do people identify with the Evil Queen but not Snow White? Or Elsa and Anna but not Donald Duck or Nemo? Disney characters have been a major influence in culture for the past 90 years. These character preferences inform everything from movie spinoff ideas to game alignment, toy production, and sales. Data were gathered from a study conducted by Keith W. Beard, Psy.D., April Fugett, Ph.D. (professors of psychology, Marshall University), Britani Black, M.A., and Carrie Dean, M.A. (doctoral students, Marshall University) of over 1,000 participants examining personality test results with preferred Disney characters. Findings show how personality informs one’s choices of the Disney characters to identify with and follow. Other topics to be covered are specific personality traits that are associated with liking or disliking specific characters; additional results and other psychological/personality factors, including a review of the most (and least) popular Disney characters based on research results from the last few years; and a comparison between Disney character ratings and several other prominent and popular franchises (such as DC characters, Harry Potter, Walking Dead, Star Wars) in order to better explore overall preference and exposure of some of the most prominent and pervasive pop culture icons of the last 100 years. Hosted by Lucasfilm’s Brian Merten, this panel showcases all the coolest new and upcoming releases by Anovos, Bandai, eFX, Gentle Giant Studios, Kotobukiya, Sideshow Collectibles, and a surprise panelist. As always, the panel concludes with some very cool raffle prizes. Costume Designers Guild members Ruth Carter (costume designer, Black Panther, Malcolm X, Serenity), Anthony Francisco (visual development concept artist, Black Panther, Thor: Ragnarok, Guardians of the Galaxy), and Phillip Boutte Jr. (costume concept artist, Black Panther, Captain Marvel, Avengers: Infinity Wars) discuss the process behind designing the costumes of Marvel’s Black Panther, along with f Mary Ellen Fields (manufacturing foreperson/specialty manufacturer, Black Panther, Captain Marvel, Superman: Man of Steel) and Douriean Fletcher (specialty jeweler, Black Panther). Star Wars and the law go together like Han Solo and Chewbacca. This panel of judges discuss the legal issues from The Last Jedi, Solo, and unexplored regions from the Outer Rim. Did Luke Skywalker have a legal obligation to save the galaxy from the First Order? What is the legality of underground droid fights? Could the caretakers sue Rey for dropping a boulder on their cart? Was Han right when he shot first? Find out when court is in session with Judge John B. Owens of the Ninth Circuit Court of Appeals, Magistrate Judge Stacie Beckerman,Magistrate Judge Mitch Dembin, CA Judge Carol Najera, NY Judge Matthew Sciarrino, and Paul Grewal (former magistrate judge and now deputy general counsel and VP of litigation at Facebook). Moderated by attorneys Jessica Mederson and Joshua Gilliland of The Legal Geeks. Cool #seeeekrits revealed? Totally possible! An hour of fun stories and chit-chat with cool people from Marvel? You better believe it! Co-hosts Ryan “Agent M” Penagos and Jamie “Hasn’t Picked a Superhero Name Yet” Frevele talk with Marvel editors, writers, and creatives about their Marvel origin stories, favorite story arcs, and more in this special live episode of the This Week in Marvel podcast! Cast members Ben Schwartz, Danny Pudi, Bobby Moynihan, Toks Olagundoye, and Executive Producer Matt Youngberg will present the panel alongside Co-Producer and Story Editor Frank Angones. From Steamboat Willie to today, Mickey’s career has taken him on an epic journey that has endeared him to fans around the world. D23’s Justin Arthur hosts a panel including Bret Iwan (voice actor), Becky Cline (director, the Walt Disney Archives), and Mark Henn (master Disney animator), who look at Mickey’s legendary roles in animated films and television shows, the Magic Kingdoms, and beyond. For the past 40 years, the Star Wars galaxy has expanded at a remarkable rate. Behind the scenes, creators have worked to round that galaxy out and to maintain cultural relevancy by appealing to new fans from different walks of life. Authors E. K. Johnston (Star Wars: Ahsoka) and Zoraida Córdova (From a Certain Point of View) along with other panelists discuss the impact of a more inclusive Star Wars, from the writers to the animators to, of course, the characters you know and love. San Diego will be getting a little taste of New Orleans! 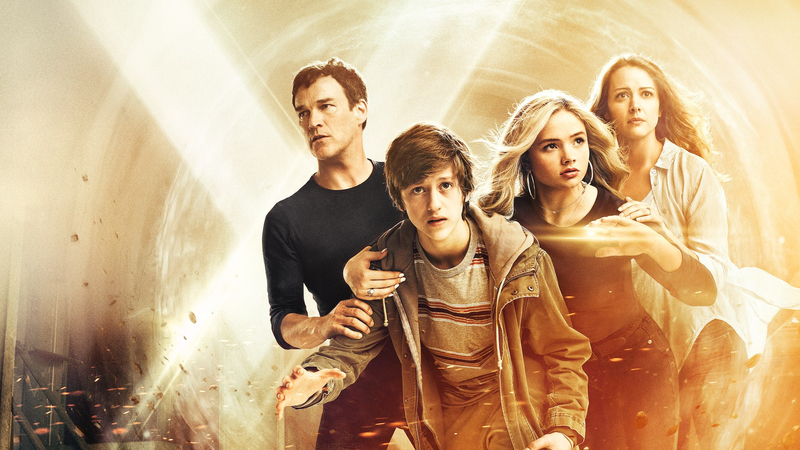 Meet series stars Olivia Holt, Aubrey Joseph, Emma Lahana, Ally Maki and executive producer/showrunner Joe Pokaski of the new hit summer series that redefined the super hero genre, Marvel’s Cloak & Dagger. Don’t miss this action-packed panel featuring a lively Q&A moderated by executive producer and head of Marvel Television, Jeph Loeb, along with a special look at exclusive, never-before-been-seen footage. And don’t forget to tune-in to watch all-new episodes, Thursdays, 8/7c, on Freeform. Members of the San Diego chapters of the 501st Legion, Rebel Legion, Mandalorian Mercs, and Droid Builders discuss how their love of a galaxy far, far away led to volunteerism in San Diego and across Southern California. From the deserts of Tunisia and California to the glaciers of Norway and the coast of Ireland, Star Wars filming sites are the new travel destination. James Floyd (contributor, Star Wars website and Star Wars Insider), Ash Crossan (host, ET Online), and Charla Teeters-Stewart (director, Imperial County Film Commission) will help you learn about where to go, how to get there, and how to get the most out of it with your fellow Star Wars fans. Celebrate the 25th anniversary of Tim Burton’s The Nightmare Before Christmas, the stop-animation film that follows the misadventures of beloved Jack Skellington through fantasy worlds. Hot Topic and a special host will give attendees a fun experience with film trivia, prizes, and a mini-art exhibit at this screening. The Legal Geeks and the Rebel Legion Sunrider Base present the mock court-martial of everyone’s favorite X-Wing ace, Poe Dameron. Based on the events of The Last Jedi, Poe stands accused of disobeying General Leia Organa and leading a mutiny aboard the resistance flagship Raddus against Vice Admiral Amilyn Holdo. Lawyers for the prosecution and defense, including a U.S. Army JAG attorney, will take on Poe’s case in front of United States Magistrate Judge Mitch Dembin. Participating attorneys include Steve Chu, Thomas Harper, Christine Peek, and Megan Hitchcock. With Rebel Legion members Rachel Williams as General Leia Organa and Marcus Holt as Poe Dameron. Ashley Eckstein (Her Universe, voice of Ahsoka Tano) and Amy Ratcliffe (author and journalist) discuss Eckstein’s new book, It’s Your Universe: You Have the Power to Make It Happen. Ashley will share her story and take fans through her step-by-step guide on how to make dreams come true. You won’t want to miss this inspiring and empowering conversation! Jordan Ellis (owner of Jordandené and co-editor of The Sartorial Geek) chats with Tiffany Mink and Matt Newman (owners of Whosits and Whatsits) about bringing your childhood loves into adult life and the joys of Disneybounding. Back by popular demand, a larger-than life celebration of the King of Comics features an unprecedented multimedia presentation of over 1,300 pieces of Jack Kirby artwork. IDW president and publisher Greg Goldstein is joined by esteemed artist Joe Jusko and other panelists to discuss the unrivaled work of the legendary Jack Kirby. Everyone in attendance will take home a limited-edition print. Fans of Peggy Carter and the Marvel’s Agent Carter series Jennifer Redelle Carey, Kelly Dreyer, Kristine Knowlton (Carter Cosplay), Peggy Pincurls, comic book historian Jessica Tseang, and Bésame Cosmetics CEO and founder Gabriela Hernandez discuss the impact and empowerment Peggy Carter has brought to her fans and how she will have lasting power in the world for years to come. Moderated by Dawn Bourn (The Geek Girl Project). Executive producers and cast of Disney Channel’s animated superhero comedy series discuss Big Hero 6: The Series. Executive producers Mark McCorkle, Robert Schooley, and Nick Filippi (Kim Possible, Penguins of Madagascar) will be joined by the original actors from the feature film who have joined the show, including Scott Adsit (Veep, 30 Rock), Ryan Potter (Titans, Big Hero 6), Jamie Chung (The Gifted, Gotham, The Hangover 2, Suckerpunch), Genesis Rodriguez(Run All Night, Identity Theft, Man on a Ledge, Tusk, Casa de Mi Padre), plus new cast members Brooks Wheelan (Saturday Night Live, Comedy Central’s The Half Hour) and Khary Payton (The Walking Dead, Teen Titans Go!, Transformers: Robots in Disguise, Young Justice). Panelists will discuss bringing the feature film to life for TV, introduce you to exciting new characters, and play never-before-seen footage from the series. 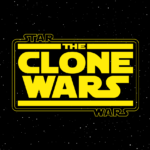 Hosts R. A. Rayne and Kris Koller are joined by voice actor Eric Bauza (TMNT, LEGO Star Wars), Troy Manning (SoCal 501st Troop), Dan Madsen (Her Universe, Star Wars Insider) and J. C. Reifenberg (Scum & Villainy Cantina, Hughes The Force) to discuss how Star Wars and its fandom have impacted their personal lives, their professional lives, and society as a whole. What does Star Wars mean to your life? The panel will also participate in a Star Wars trivia contest against the audience with prizes to be won! The Hasbro and Marvel product experts discuss some exciting news around Hasbro’s ever-popular Marvel Legends action figure line. Attendees will get a sneak peek of upcoming, never-before-seen Marvel action figures, followed by Q&A for your Marvel action figure questions. Five members of different Star Wars costume clubs discuss the basics of Star Wars costumes for women and challenges faced within the community. Speakers include Lesley Farquhar, Carrie Ann Caranci, Kristina Gundersen-Rudmann, Wendy Starling, and Regina Vail. Followed by a Q&A with the attendees moderated by Lesley Farquhar. The characters of Marvel’s Daredevil, Jessica Jones, Luke Cage, and Iron Fist all face different legal challenges. Could Matt Murdock be disbarred for being Daredevil? How accurate was the trial of the Punisher? Could someone who was Kilgrave’d argue the insanity defense? What would lawyers need in order to prove the actual innocence of Luke Cage? Could Danny Rand reclaim his father’s company after being presumed dead for 15 years? Judge Carol Najera,Christine Peek, Jordon Huppert, Megan Hitchcock, and Joshua Gilliland (The Legal Geeks) find these answers and more. D23 pulls the curtain back on the classic stop-motion Halloween (and Christmas!) 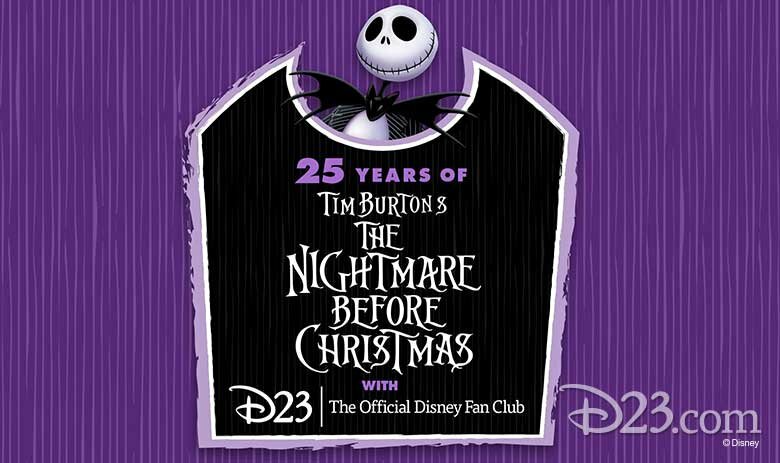 favorite, Tim Burton’s The Nightmare Before Christmas, with a behind-the-scenes retrospective panel featuring the team that brought the movie to life 25 years ago, including Henry Selick (Director), Kelly Asbury (Art Director), Edie Ichioka (Editor), and Anthony Scott (Animator). Get all the information you need to build your own fully functional droid character from the Star Wars universe. Moderator Victor Franco and panelists Mike Senna, Michael McMaster, William Miyamoto, Chris Romines, and Thomas Roeoesli share their knowledge and expertise to help your build a success. Ever wonder how pros go about creating new comic stories? 26-year veteran Disney comics creators Patrick and Shelly Block will create an actual short Donald Duck story with audience participation in this creative workshop. Learn firsthand how the Blocks come up with story ideas, plot out their tales, create a good story climax, and lay out a story idea so that it comes to life. This popular workshop is guaranteed to bring a chuckle or two, as terrible things are bound to happen when Donald Duck and his nephews are involved! All ages are invited. Come and join the fun! Across comic books, television, new media, and more, the women of Marvel are here and here to stay! Attend this conversation with behind-the-scenes talent from Marvel Rising and creatives in the field, and hear firsthand what it’s like working as a woman in comics and what it means for the future of the industry. Hosted by Marvel’s Sana Amanat (VP of content and character development) and Judy Stephens (producer at Marvel), with additional panelists to be announced. Disney Comics presents a look at recent and upcoming comics showcasing powerful female characters from Disney and Star Wars. Oh My Disney’s Michelle Lema leads a discussion with panelists Delilah S. Dawson (author, Star Wars Adventures, Star Wars Forces of Destiny), Amy Mebberson (author/artist, Disney Princess comic strips), Cecil Castellucci (author, Moving Target: A Princess Leia Adventure), Jody Houser (author, Star Wars: Forces of Destiny), and Katie Cook(author, Tangled: The Series comics) discuss the growing importance of female characters and authors in the comics industry and the making of comics for kids. Marvel Animation returns for the always action-packed, news-breaking panel where you’ll get eyefuls of never-before-seen information and sneak peeks… plus…as always…some surprise guests that’ll reveal waaay too much! GET THERE! You’ll also have a chance to meet the stars of your favorite Marvel Animation series at signing events at the Marvel booth (#2329) throughout the weekend. Legion is the story of David Haller, a man who believed himself to be schizophrenic only to discover that he may actually be the most powerful mutant the world has ever seen. Along with a team of other extraordinarily gifted people, David learned to accept his true self and set out to defeat The Shadow King, who was on a path to attaining infinite and world-ending power. In season two, a series of mind-bending twists and turns called into question who is the hero, and who is the villain. Legion is based on the Marvel Comics by Chris Claremont and Bill Sienkiewicz. Join Executive Producers John Cameron and Marvel’s Jeph Loeb, along with co-EP, Nathaniel Halpern, plus cast members for a conversation on what to look forward to from Season 3. Expected to Appear: Noah Hawley, Dan Stevens, Aubrey Plaza, others. Love Disney? Love manga? Come see what’s on offer from TOKYOPOP’s family friendly line of licensed Disney manga, including Beauty and the Beast, Stitch!, Fairies, Alice in Wonderland, and their new full-color manga The Nightmare Before Christmas: Zero’s Journey!